Psychology helps explain why so many of us become jerks behind the wheel — and how we can improve our sanity and safety. I REALIZED Seattle traffic was making my head explode when I found myself spitting mad and screaming at the woman in the car next to me. In my defense: It was the tail end of a frustrating commute home. We were in a slow-rolling zipper merge, and she refused to let me in. I was right — but it didn’t do me any good. By the time I got home, I felt like an idiot. My heart was racing, and my knees wobbled at how close I came to causing an accident. My outburst might have been more extreme than some, but I don’t think I’m the only one losing my cool these days. With traffic congestion in the Puget Sound area among the country’s worst and getting more dreadful by the day, every car trip can feel like picking your way through a minefield of near-misses, reckless fools and roadblocks. Find out if you're a hothead, or chill behind the wheel by taking this test. 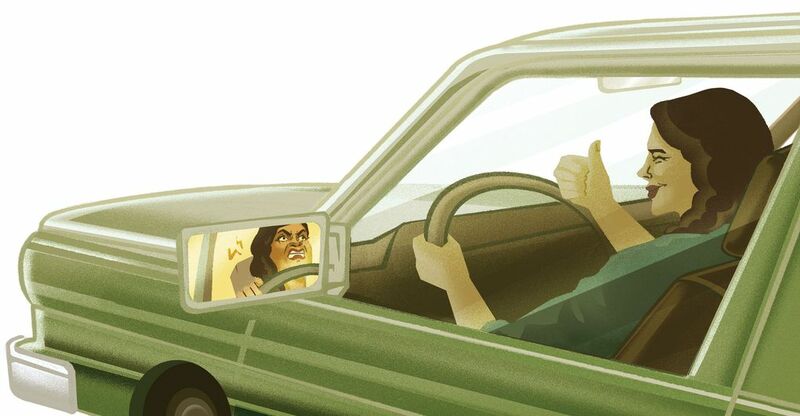 And don't be a jerk: Follow these tips to be a better, cooler driver. You spend 40 minutes inching along Interstate 5 only to find the streets around your office closed by construction. A lane of traffic screeches to a standstill while an Uber driver waits for his passenger. Pedestrians meander past without glancing up from their phones, while bicyclists and skateboarders and dudes on scooters jostle for a safe route through the chaos. 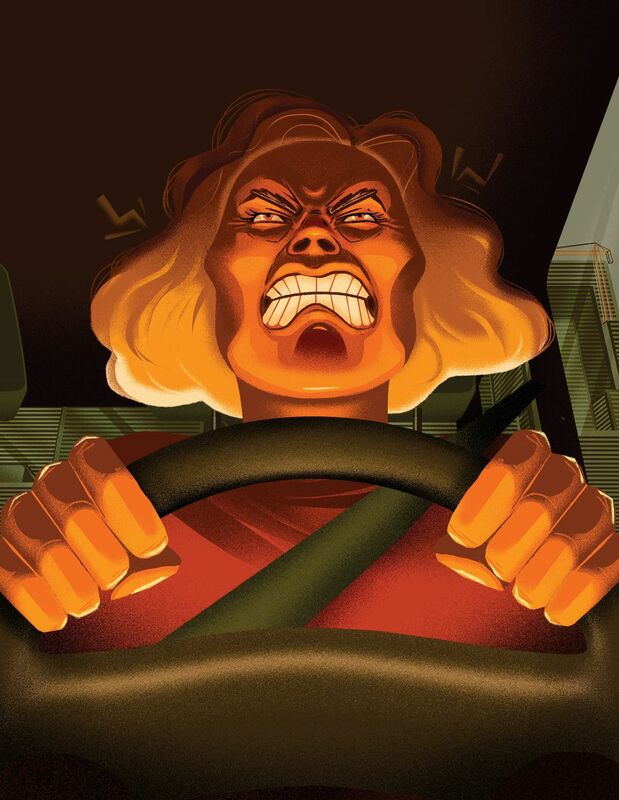 A study by the AAA Foundation for Traffic Safety found that almost 80 percent of U.S. drivers at least occasionally experience serious anger, aggression or road rage — a result that mirrors similar surveys around the world. A staggering 8 million Americans per year engaged in over-the-top violence, like ramming another vehicle or getting out of their car to confront another driver, the study estimates. Not long after my own eruption, a female motorcyclist shot and killed a male SUV driver on I-5 near Tacoma after a fight in which he slammed her head against the freeway median. Few conflicts escalate to gunfire, but clearly there’s something about traffic that punches our buttons. I never yell at anyone face-to-face, yet there I was pitching a tantrum in my car. We don’t flip off co-workers or try to box in fellow shoppers with our grocery carts. So why do so many of us turn into jerks behind the wheel? And for the sake of our safety and sanity, is there anything we can do about it? The answer to the second question is: Yes. We’ll get to that later. THE QUESTION OF why we drive the way we do is something scientists have been trying to unravel since the first Model T rolled off the assembly line. The insights they’ve gained reveal a lot about the human psyche and how susceptible we are to cognitive traps that warp our perceptions and stoke our anger. “The traffic environment is a unique place, and we all have something inside us that comes out in that environment that doesn’t come out in other places,” says Dwight Hennessy, a traffic psychologist at Buffalo State College in New York. Driving is the most dangerous thing the average person does on a regular basis, which adds an air of menace to every interaction. Studies show our blood pressure rises, our hearts beat faster and blood-sugar levels spike behind the wheel. The worse the traffic and congestion, the worse the physical toll. One analysis found an elevated risk of depression and anxiety in people with commutes of 10 miles or more, while others correlate extended time driving with heart problems and mental decline. Toll lanes notwithstanding, roadways are also one of the few places where everyone in society rubs bumpers with each other regardless of income, politics, age, ethnicity — and musical tastes. In booming Seattle and environs, that convergence is a daily reminder of how rapidly the community is transforming. The proliferation of Teslas, Mercedes and BMWs cruising alongside rusty pickups and 20-year-old Volvos underscores the widening income gap. The snarl of construction reflects an economic boom for some but inflicts aggravation and dislocation on others. Above all, the sheer number of people now sharing the road makes congestion inevitable and sets the stage for conflicts between drivers with different styles, backgrounds and expectations. Juxtapose our region’s angst with basic human tendencies, and you’ve got a recipe for bad behavior. “For every example of road rage where you have a physical assault, there are probably thousands of other drivers who are angry and maybe flipping people off and cursing and honking their horns and tailgating,” says Colorado State University psychologist Jerry Deffenbacher. 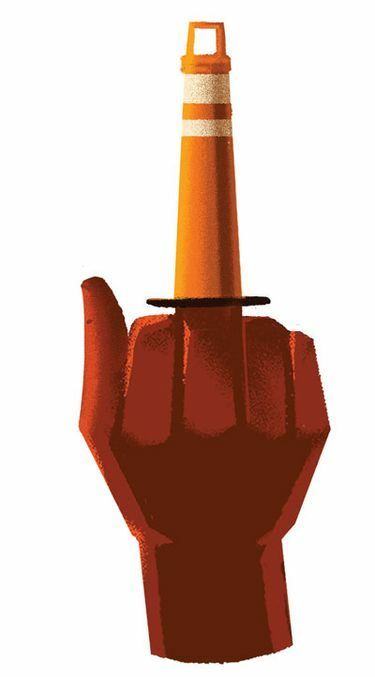 A University of Washington graduate back in the days when Seattle traffic was a breeze, Deffenbacher was among the first to study road rage as well as the lower-level anger that’s more common among drivers. Anonymity is a powerful force that promotes reckless and inconsiderate driving, he says. If nobody knows who you are and you’ll be gone in minutes, then there’s no accountability if you zip in front of someone or flip the bird. Territoriality comes into play, too. Many people view their cars as an extension of themselves, so having someone cut you off feels like an invasion of your personal space. Common, but flawed, thought patterns — called cognitive distortions — can fan a natural flash of alarm or annoyance into flaming outrage. These include overgeneralizing (“All young men with booming music are reckless drivers”) and catastrophizing (“That a-hole almost killed me!”). Instantly categorizing other drivers as bad, and projecting your expectations on them, also primes us to react with more anger. And as satisfying as it might feel, name-calling and cursing just inflame our own passions. “It’s like throwing a cognitive cup of gasoline on the fire,” Deffenbacher says. We also fall prey to “hostile attribution error,” which is our propensity to assume the worst of others. So the person who abruptly cuts across three lanes isn’t just a poor schlub trying to get to the exit. She’s a jerk who’s being deliberately careless and taking advantage of you. This kind of thinking is especially prevalent among narcissists, who are more likely to perceive other motorists’ actions as deliberate and personal. ALL OF THESE mental missteps are aggravated by our inability to communicate with other drivers in all but the crudest ways. Every gesture can be misinterpreted. Is that a signal to proceed, or is she fixing her hair? Are you honking at me, or someone else? Even making eye contact, a basic staple of human interaction, is problematic. This muteness is especially frustrating when it intersects with our sense of fairness, a primal force that isn’t unique to humans. Monkeys will hurl back a bit of cucumber offered by a researcher when they see another monkey get a tastier treat, like a grape. In traffic, where we all ostensibly agree to abide by the same rules and norms, it can be infuriating when someone breaks those rules to his own advantage. You know who I’m talking about: The carpool and bus-lane cheaters, the high-speed weaver, the driver who blocks a through lane so he can cut to the front of the exit queue. Robbed of our voice, the only way to express disapproval is to yell or tailgate or try to box them in. The fact that so many drivers are willing to undertake dangerous, retaliatory maneuvers at 60 mph attests to another common mental bias: our tendency to overestimate our own driving skill and underestimate the risk of tailgating, texting and other stupid stunts. We’re also much more forgiving with ourselves than with others, Hennessy says. 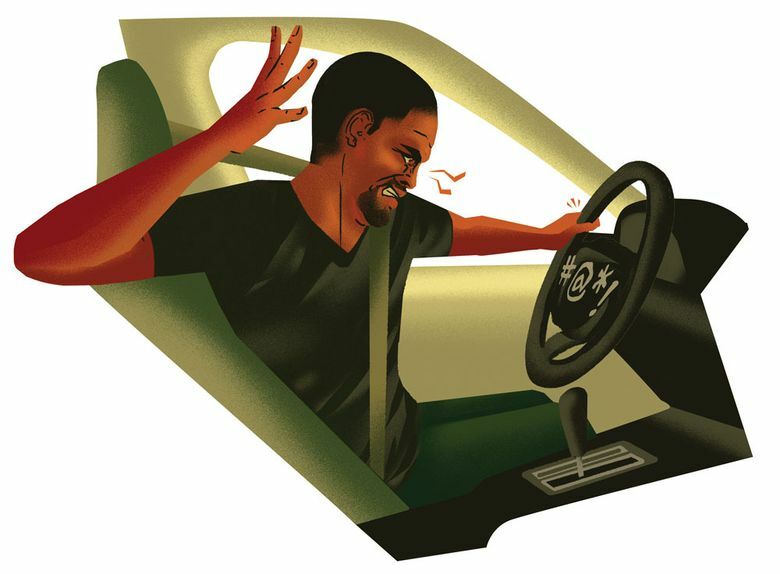 Hennessy’s research found the anger we feel while driving can inflict suffering — but mainly on ourselves and those around us. People who experienced stressful commutes reported more conflicts and aggression at work and scored lower on tasks, like puzzle-solving. Another study found that a nasty commute can unleash prejudices, leading to more harsh judgments of people of other races. Over time, chronic anger and stress can actually change what Hennessy calls your “driver personality.” You begin to anticipate and dread traffic even before you get in the car. As a result, your stress threshold is lowered, and it doesn’t take much to nudge you over the edge into anger. 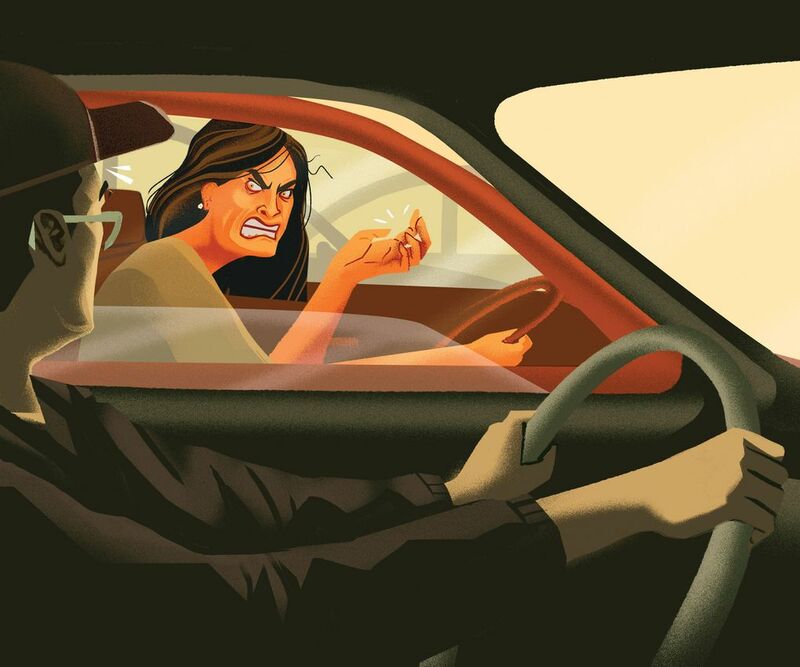 Leon James, a University of Hawaii psychologist who has been observing drivers for nearly 30 years, says aggressive and angry behaviors are becoming more accepted and are having a corrosive effect on American society. It makes us feel better to trash other drivers, but we’re only feeding our own fury — and the next generation is listening, James warns. “The back seat of the car may be called the road-rage nursery, because it is where children acquire the driving style of parents,” he wrote in an email. WHEN I STARTED exploring the psychology of driving, I hoped to learn how to break my own cycle of negative mental habits. But in truth, I was reluctant to relinquish my sense of superiority. I also hated the idea of letting the truly bad players get away with it — as if my censure would be enough to shame them. Hoelting, the meditation teacher and co-founder of Cascadia Mindfulness Institute, helped me see the error in my thinking. As clichéd as it sounds, accepting that you can’t control the traffic or anyone else’s driving is the first step to a more peaceful commute, he points out. All you can change is the way you react. “If I choose to release resentment and anger, I’m the first beneficiary of that action,” he says. Hoelting teaches — and practices — mindfulness. The aim is to banish distracting thoughts and worries, release tension in your body and be fully aware of the current moment — including your own knee-jerk reactions. Instead of the emotions controlling you, you can control them. A good way to start is simply to breathe deeply, relax your body and try to give your fellow commuters the benefit of the doubt. “It helps us remember our common humanity,” Hoelting says. McClean used to be an angry and aggressive driver — the type who would box in a speed demon who roared up next to him on the freeway. Now, he’ll drop back, allowing the antsy motorist to zoom ahead. Not only does it defuse the situation; it also makes McClean feel less stressed and more willing to consider that the speed demon might be a dad rushing to pick up his daughter at school. Deffenbacher and his colleagues developed and tested programs that teach similar skills, starting with relaxation techniques and building up to cognitive and behavioral modification. Drivers visualize a situation that infuriates them, then explore alternative ways of thinking about it. That can include little mantras, like: “I make mistakes, too,” or, “Cut him some slack.” One of Deffenbacher’s favorite tricks is to shout curse words with your tongue on the roof of your mouth. I’ve tried it, and it’s impossible to stay mad when you sound like “South Park” ’s Eric Cartman with a gag in his mouth. I still find myself occasionally pissed off behind the wheel, but I hope I won’t lose control again like I did at that zipper merge. Deep breathing helps. So does being realistic about how long it will take to get to my destination. On a good day, I feel compassion for my fellow travelers instead of viewing them as competitors and obstacles. I’ve also discovered the best stress-reduction tool of all: avoidance. Most days, I ride the bus. Jennifer Luxton is a Seattle Times staff designer.